Welcome to Foodie Friday Link Party 75! We have a host of great recipes from four different foodie blogs this week. With the Super Bowl only days away, these four recipes will give you a variety of foods to add to your party table. These oven-fried mini beef flautas are going to be tough to eat just one. 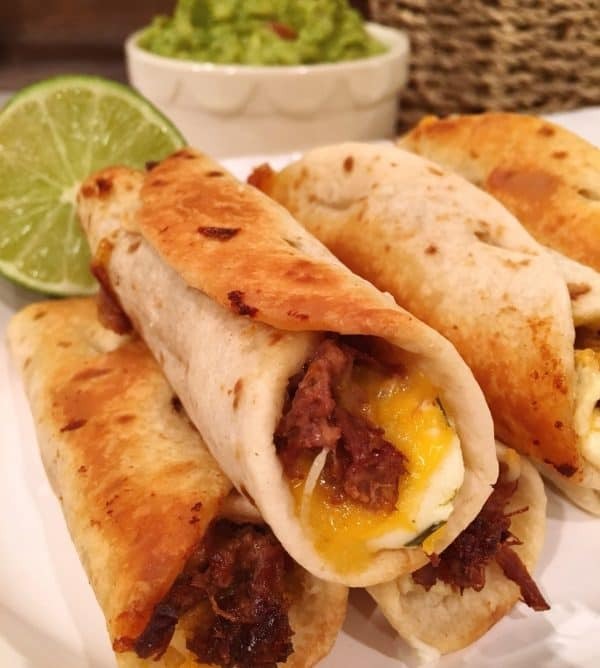 The recipe includes meat, cream cheese, jalapeños, tortillas, guacamole, and butter all rolled into one amazing flauta. The combination of ingredients in this flautas recipe is simple but divine. 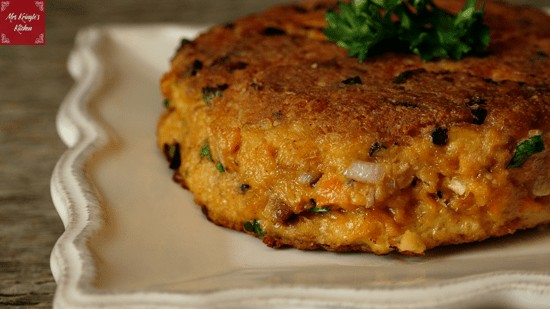 Salmon patties are a great addition to any party, but this old southern favorite is made with an appetizing twist–the addition of cheddar and jalapeño. The two extra ingredients are sure to make everyone at your party beg for more. A salad is a great addition to your Super Bowl party table. It’s easy to make and the salad ingredients are going to make your taste buds very happy. The combination of feta cheese, raisins, walnuts, spinach, and a mouth-watering dressing are second-to-none. 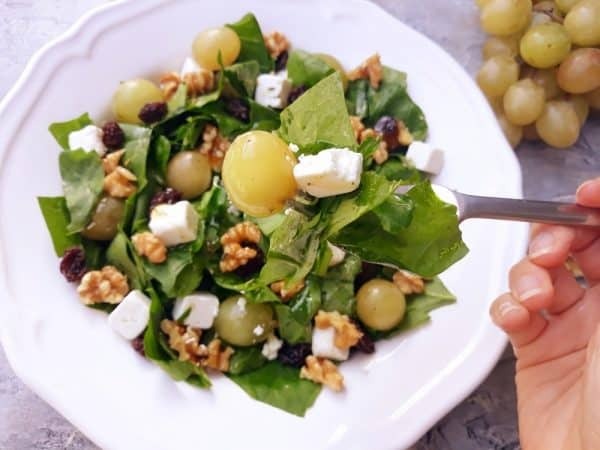 Delicious Grape Walnut Salad from Holy Veggies! Nothing makes a party sweeter than cookies. 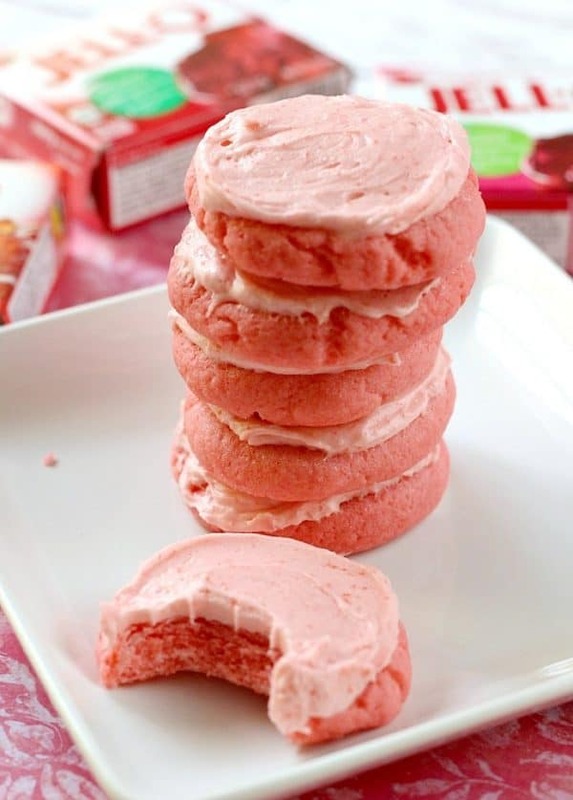 The cookies from scratch are made with Jell-O and topped with a luscious pink frosting made out of sour cream, butter, and Jell-O powder. Y’all will have a hard time keeping enough of these on the table–everyone will love them! Hi Marilyn! Thanks for sharing your recipes. They always look so delish! Hi Tamy! Thanks for stopping by and sharing your great recipes! 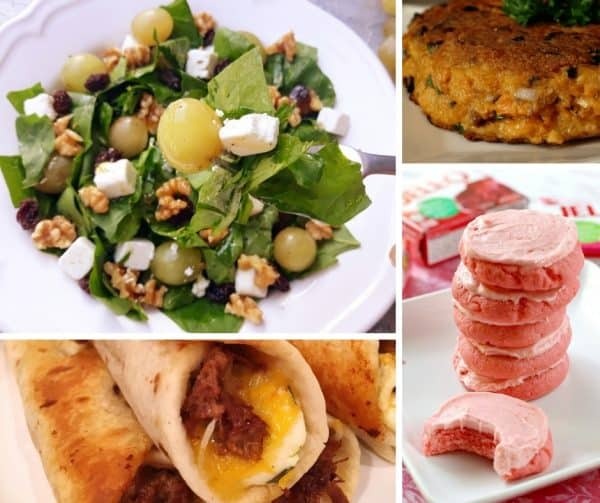 Hi, thanks for feauturing my grape walnut salad recipe and all these amazing recipes. Great party as usual! Hi! You’re welcome. It looks fantastic – thanks for sharing! Hi Miz Helen! Thanks for coming by. You have a great weekend, too! So many great recipes! Hope you have a wonderful weekend! Hi Amy! You’re welcome and you have a great week, too! Thank you for hosting! There are so many great recipes here. Hi Kristina! Thank you and thanks for stopping by!